A Connecticut Yankee in King Arthur's Court by Mark Twain with illustrations. This paperback edition is an unabridged reprinting of Dicken's original novel first published in 1889. A Connecticut Yankee in King Arthur's Court is an 1889 novel by American humorist and writer Mark Twain. The book was originally titled A Yankee in King Arthur's Court. 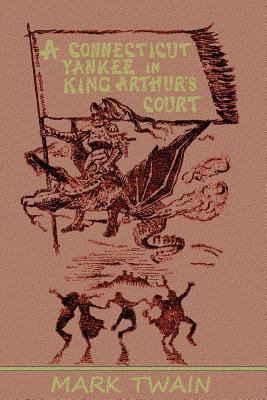 Some early editions are titled A Yankee at the Court of King Arthur. Samuel Langhorne Clemens (November 30, 1835 - April 21, 1910), better known by his pen name Mark Twain, was an American author and humorist. He wrote The Adventures of Tom Sawyer (1876) and its sequel, Adventures of Huckleberry Finn (1885), the latter often called "The Great American Novel."